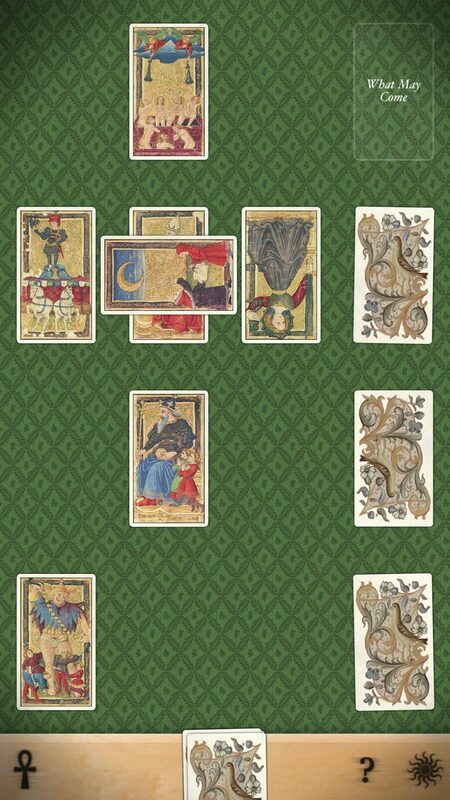 A truly beautiful tarot app: browse through three decks, use nine spreads, read historic meanings or write your own, and customize your reading experience. 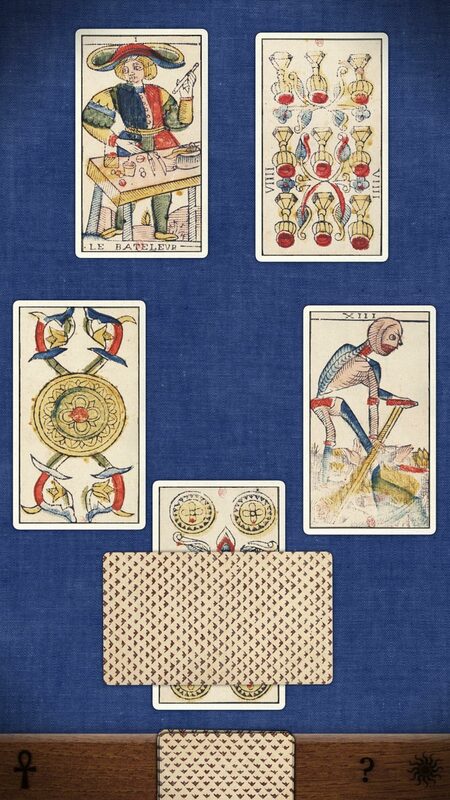 Read from three decks: Rider-Waite-Smith (78 cards), Jean Dodal's Tarot de Marseille (78 cards), and the Charles VI (or Le Gringonneur, 16 major arcana only). 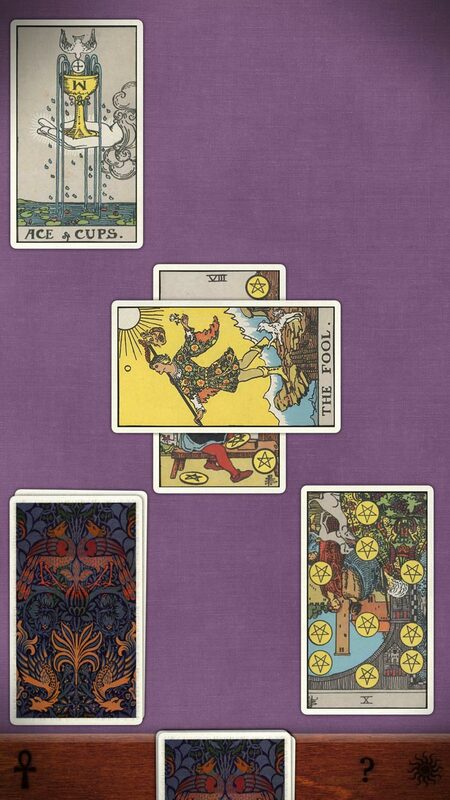 Use nine spreads and find a path to your own understanding, or arrange the cards as you wish. 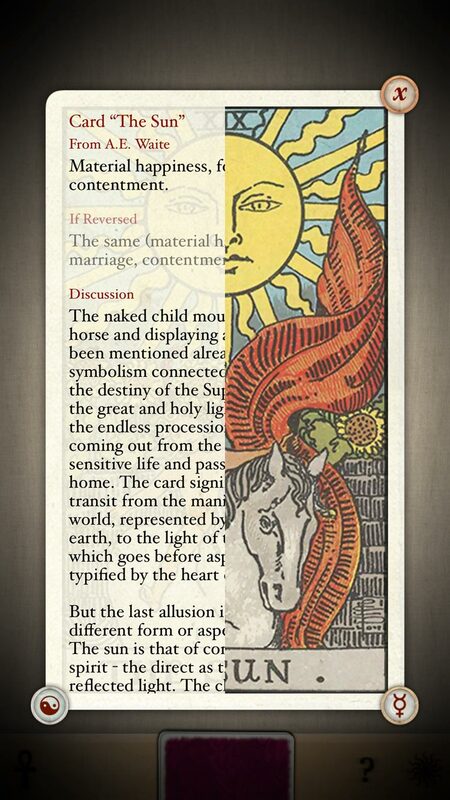 Customize card interpretations: replace any card's historic text with your own personalized meaning to be used throughout the app. Share your reading via email with images and your personal interpretation, or save a screenshot to your photo library. Tailor the look of your app with different card backs, table backgrounds, and bars. 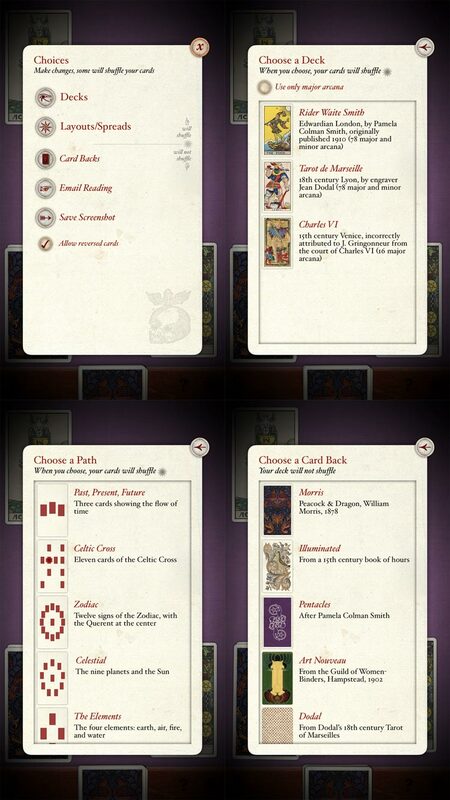 Enjoy realistic card behaviors: use touches to sort, flip, shuffle, scale, and arrange your readings. Above all, delight in the beautiful and meditative aspect of these works of art people have enjoyed over the past six-hundred years. 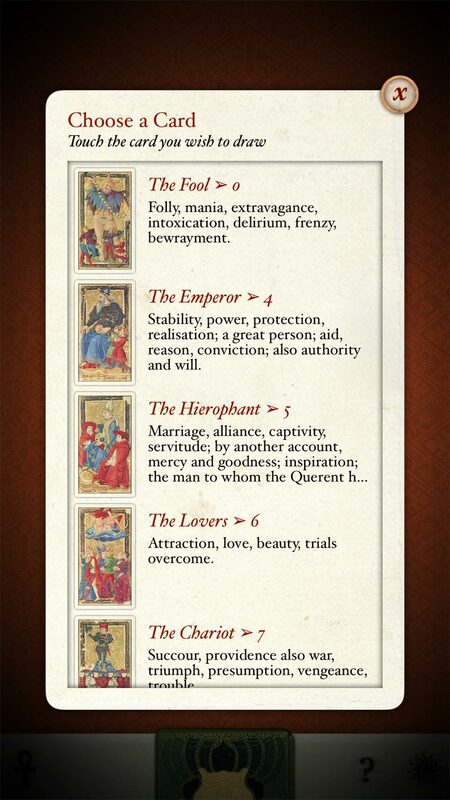 Beautiful Tarot is designed to run on devices of any size, including iPads; the videos below were recorded on an iPhone. If you need help, please send us email ☞. If you would like to purchase the app, it is available on the iOS app store.